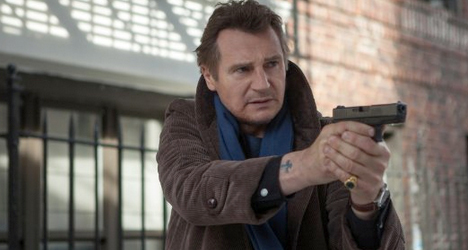 Liam Neeson stars as U.S. Federal Air Marshal Bill Marks in the whodunit thriller "Nonstop." 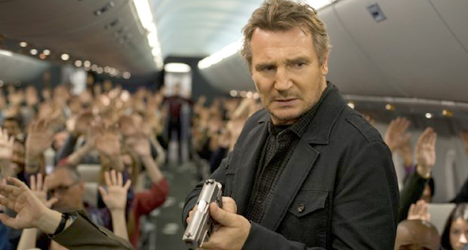 During an international flight from New York to London, alcoholic U.S. Federal Air Marshal Bill Marks (Neeson) receives a text message from someone on the airplane stating a passenger will be killed every 20 minutes until $150 million is deposited into a bank account. Racing against the clock and not knowing who he can trust, Marks must find a way to smoke out the aggressive texter. Using technology to enhance the story and an interesting wrinkle to the premise as bodies start dropping, “Non-Stop” starts off as strong entertainment. 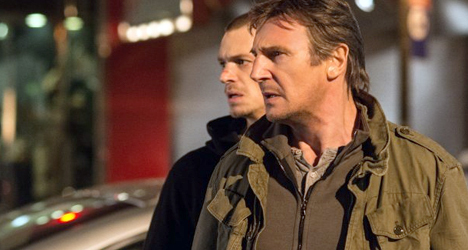 Neeson delivers what one might expect given his recent track record. He uses his now trademark and gravely suspect American accent to bark orders and angrily explain to another agent on the phone what is happening 30,000 feet in the air. It’s a far cry from the type of performance that netted him an Oscar nomination in “Schindler’s List,” but he plays it straight which is appropriate for this type of film. There’s a nice level of tension throughout the beginning of the film, as Neeson’s character assesses the situation, trying to figure out who on the plane is sending the threatening texts. 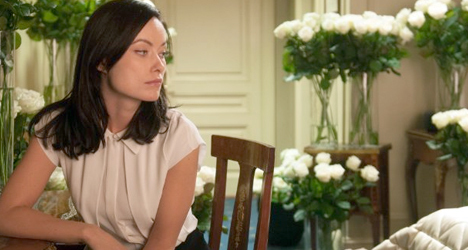 Unfortunately, other than Julianne Moore, who provides the bonding relationship Neeson’s character needs, many of the other secondary characters add little to the story. Corey Stoll in particular, who was incredible in Season 1 of Netflix’s “House of Cards,” is given a stale and overused role as the angry guy demanding to know what is going on. Somewhere around the midpoint, the film’s once interesting plot slowly starts to dissipate into a sort of whodunit that, quite frankly, isn’t that difficult to figure it out. From there, the movie features a final act that is predictable and absurd, even considering the ridiculous synopsis that requires a certain suspension of disbelief. Not to mention, there’s a political message that feels completely shoehorned. As a result, “Non-Stop” squanders its tense and unique set up and becomes typical action movie fare.